Finally! 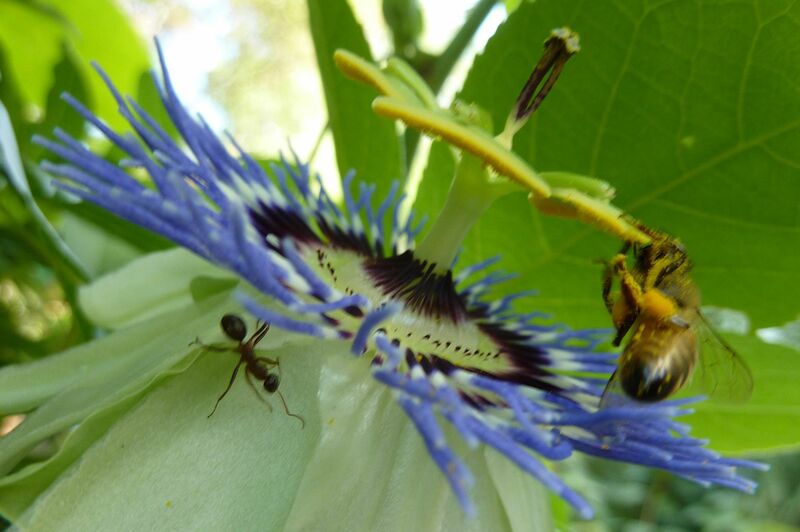 I have finally seen a bee pollinating the passionflowers. However, this one is a little to short to do it properly. 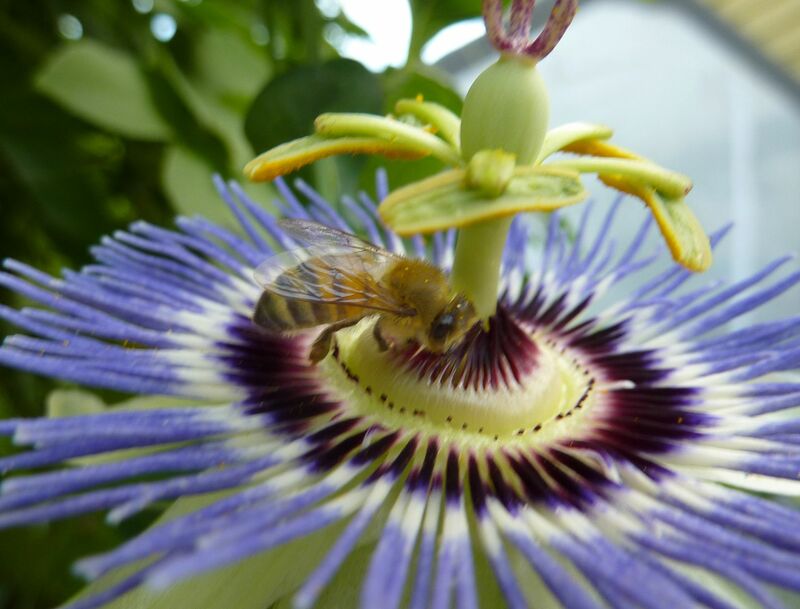 Thankfully the bee had enough sense to jump up and start kicking her feet to collect pollen. Really cute to watch. 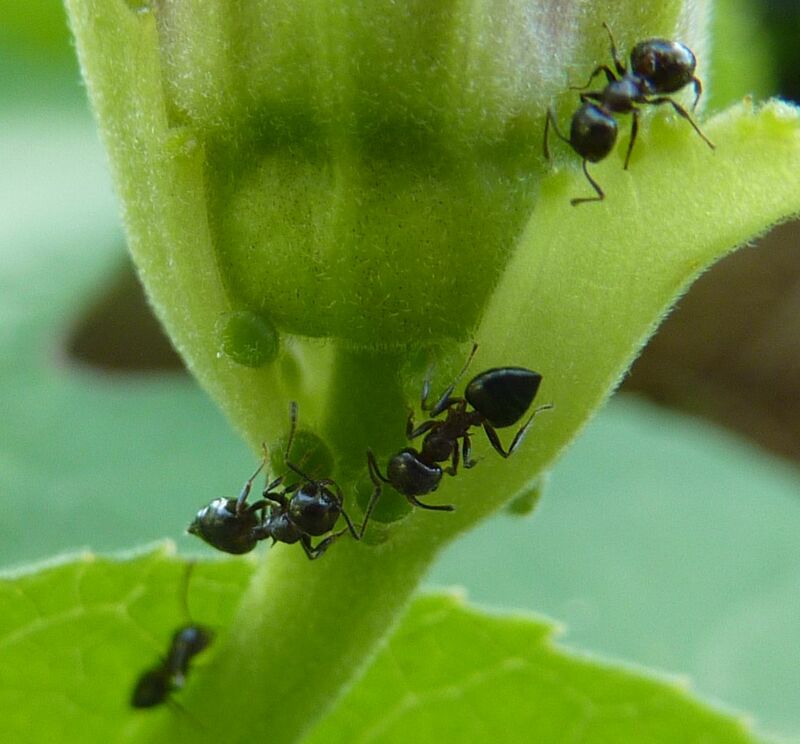 The plant also has pores that produce extra floral nectar. 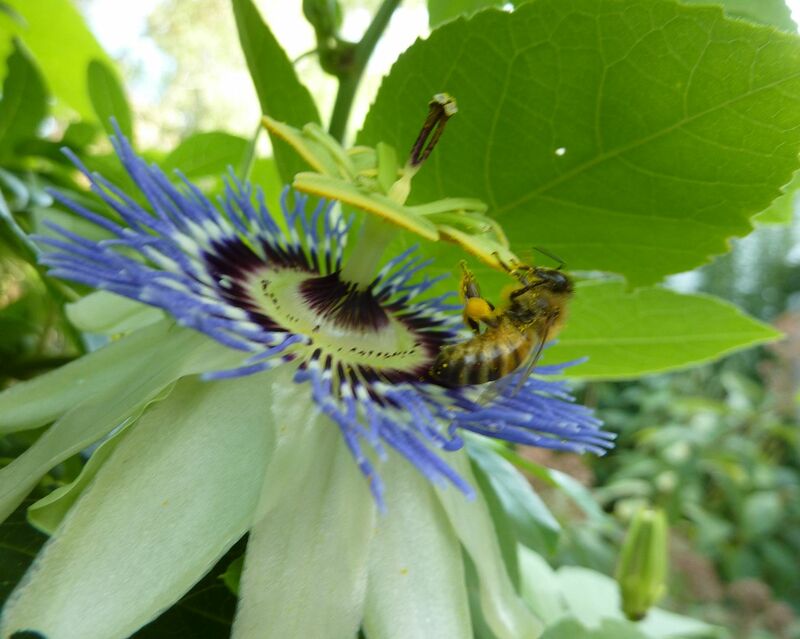 Traditionally this is what pores that produce nectar are for outside of the flower, but wow no wonder Passionflower pollination is so hard. The plant might as well be bleeding sugar.